Student speaker and PSU member, Basil Hasan, speaks to a crowd outside of the School District. 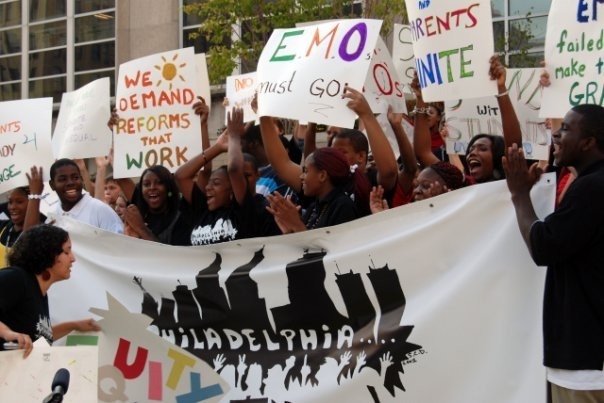 The Philadelphia Student Union is a founding member of PCAPS (Philly Coalition Advocating for Public Schools). PSU, as part of PCAPS, is calling for a moratorium on school closings until there has been a full study of its effects, fiscal and otherwise. 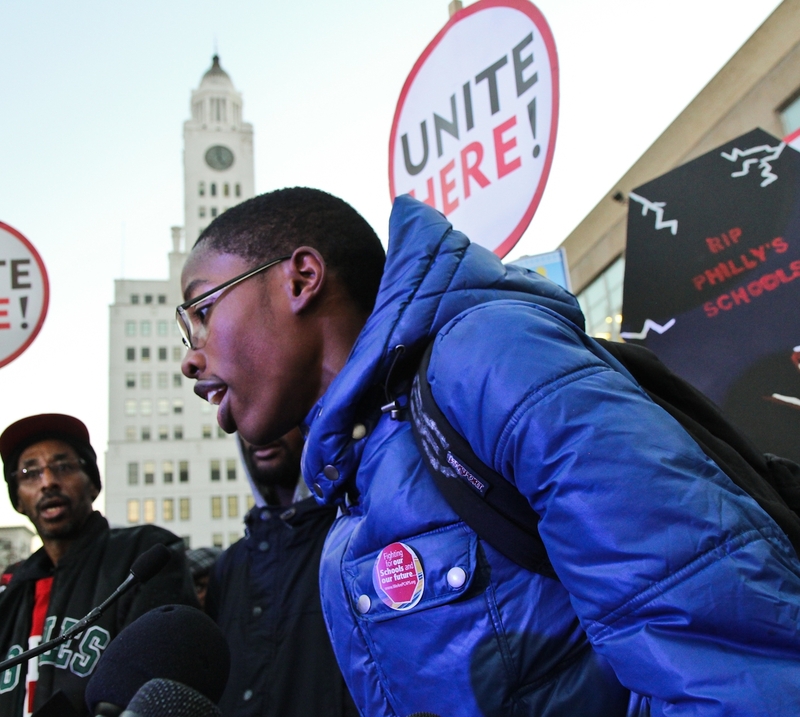 PSU and PCAPS have held rallies across the city of Philadelphia to demonstrate the mass disapproval of the school closure plan put forth by the School District of Philadelphia. After distributing thousands of surveys and holding community meetings, PCAP put forth an alternative plan to the District’s plan to close 37 schools. This plan is called Philadelphia Community Education Plan: Excellent Schools for All Children. 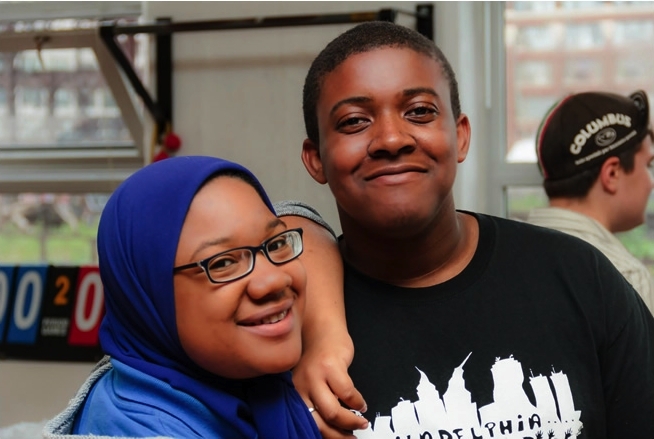 The Philadelphia Student Union runs citywide campaigns that bring together students from all of our chapters and additional schools to improve school district policies and practices. Learn more. Since our founding in 1995, fighting for adequate and equitable school funding has been central to our work. 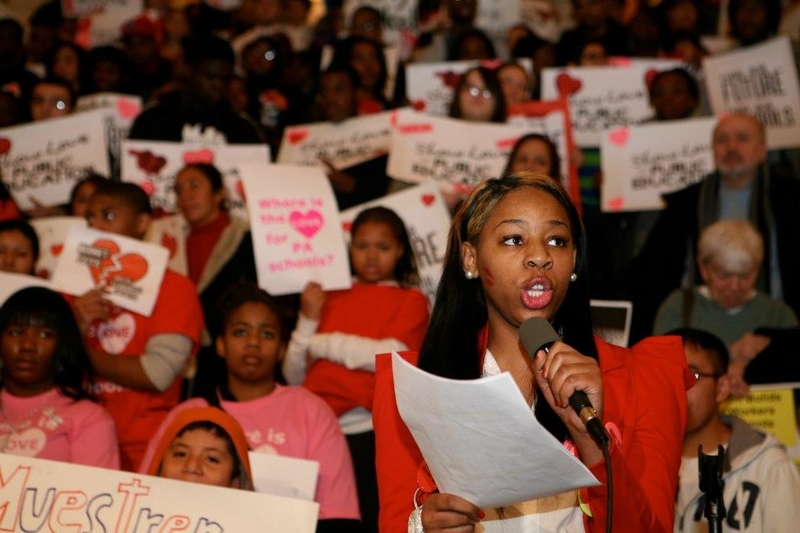 Thousands of Philly Student Union members have lobbied and rallied in our state capital Harrisburg. 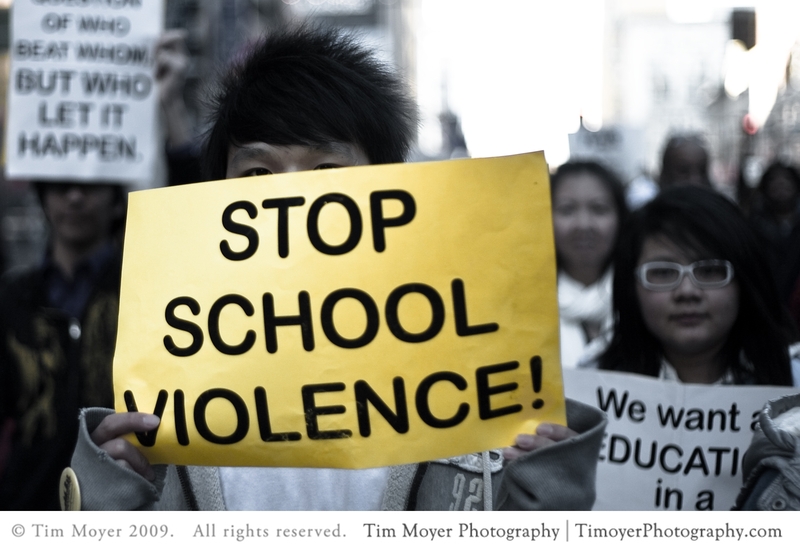 Since 1995 we’ve organized dozens of school funding actions. Learn more. Decisions that are made in Washington D.C. often affect the experiences we have in our classrooms in Philadelphia. As apart of the Alliance for Educational Justice, we work with community organizing groups from across the country to impact national education policies. Learn More. 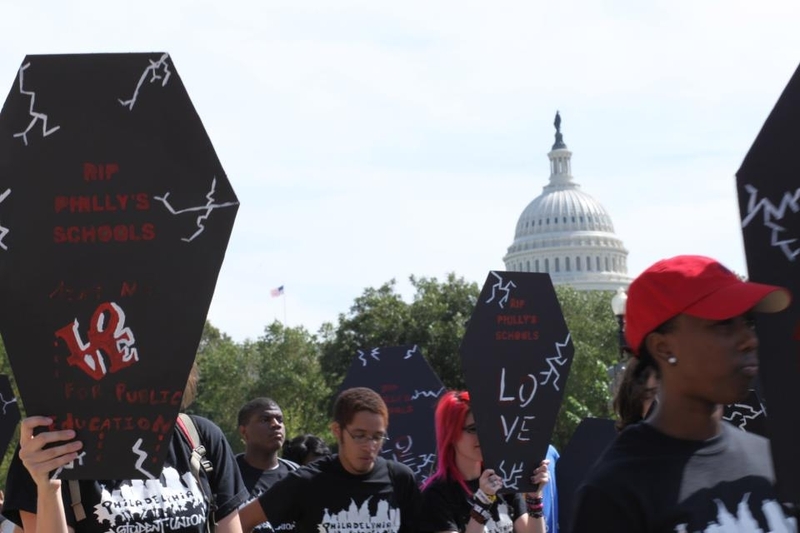 For over two decades, the Philadelphia Student Union has organized campaigns on issues ranging from textbooks to school safety. Learn more about some of our past victories.